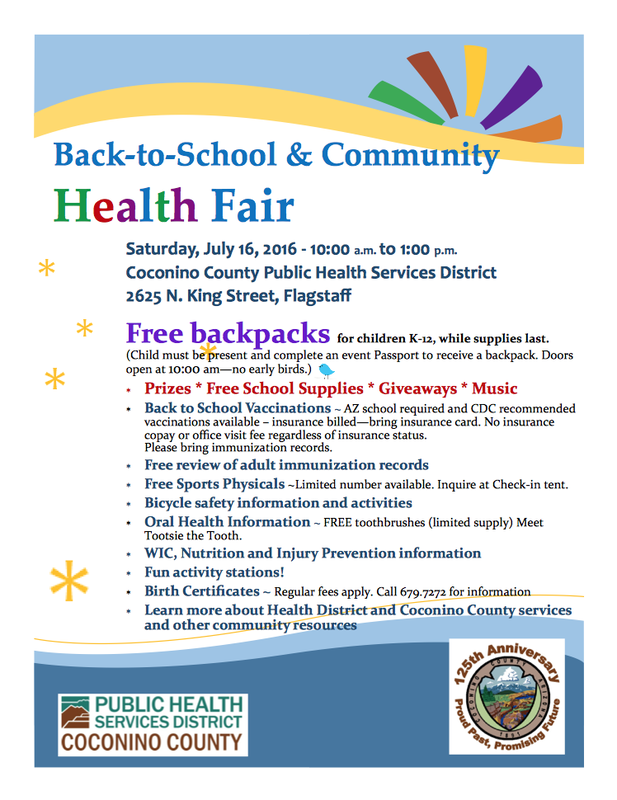 The Flagstaff Back-to-School & Community Health Fair will be held from 10 a.m. to 1 p.m. Saturday, July 16 at the Coconino County Public Health Services District, 2625 N. King St., Flagstaff. Oral Health Information ~ FREE toothbrushes (limited supply) Meet Tootsie the Tooth. 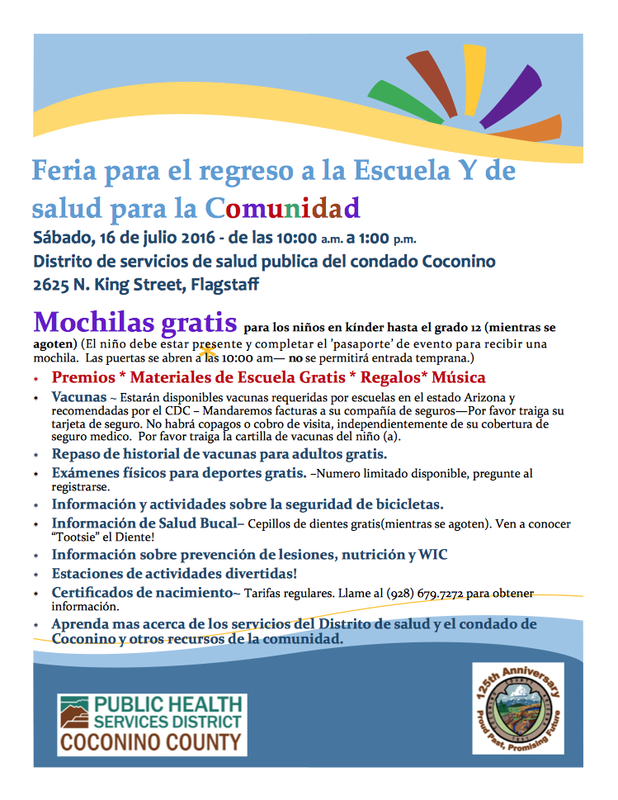 Contact Lucy Walsh at lwalsh@coconino.az.gov for more information.